Many dentists firmly believe that dental implants are the best way to replace missing teeth. That is because implants offer an extremely strong, long-lasting, and natural-looking way to fill in gaps in a patient’s smile. 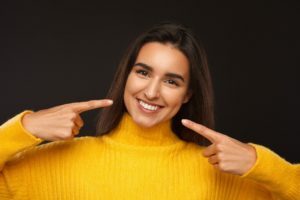 If you would like to benefit from this tooth replacement method but are concerned that you may not be a candidate for it, there is good news! 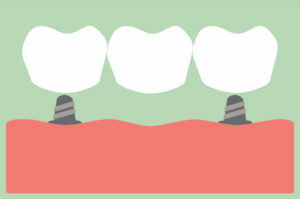 Even if you cannot receive traditional implants, you may still be able to receive a mini dental implant in Forest Hills. Let’s talk more about how mini is amazing. The health and appearance of your smile is one of your top priorities. To protect your teeth and gums from damage, you brush your teeth twice a day and floss every night, but are you going to your dentist in Forest Hills regularly? If not, you are only giving your smile half of the care it needs to stay healthy. If you are like many, you avoid the dentist because you have not found a location that meets your needs—either due to lack of comfort, services, or convenience. At Total Dental Care, we strive to provide you with the exact services you need while working to promote your comfort from our convenient location. One of the simplest yet most impactful aspects of dentistry is the regular visit where you will receive a thorough cleaning and meticulous examinations of your entire oral cavity and face and neck areas to ensure that you are healthy. But there is still much more that transpires during these appointments that shape your experience. 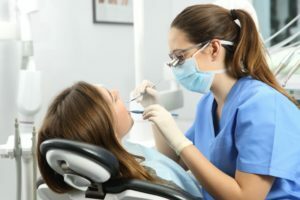 In particular, your interaction with your dental hygienist will provide you with an opportunity to field many of the questions you may have, so what should you ask? These and other queries will be explored by your dentist of Forest Hills as you continue reading. 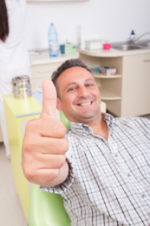 Can a Dentist in Forest Hills Help You Relax During Your Visit? When’s the last time you visited the dentist? If you’ve avoiding visiting your local practice for longer than 6 months, your smile could be at risk—especially if you don’t plan on scheduling an appointment anytime soon due to dental phobia. Don’t risk your oral health just because your palms get sweaty every time someone mentions sitting in the dental chair. Your dentist in Forest Hills is here to help you overcome your dental fear with sedation dentistry. Comments Off on Can a Dentist in Forest Hills Help You Relax During Your Visit? When you have missing teeth, one of the best things you can do for your smile is replace your missing teeth. Whether you have a single missing tooth or multiple missing teeth throughout your mouth, dental implants from your dentist in Forest Hills may be the best choice for you. Learn more about this revolutionary dental process and if you’re the best candidate here. Many patients look to their dentist not only to have their teeth cleaned and examined but to also feel relaxed and receive the treatments they truly need. 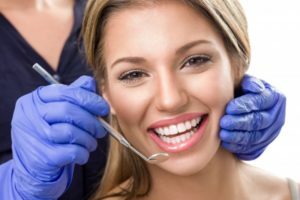 Sedation dentistry and sleep dentistry are often discussed as ways to relieve the patient of anxiety, fear, and discomfort during a dental procedure. However, many people don’t know the difference between the two or the appropriate time to implement them. The terms “sedation dentistry” and “sleep dentistry” are often used to refer to the same thing, but there is a significant difference between the two. It’s important to realize what each of these entails so that you can truly understand which is best for you when you visit Total Dental Care. You love being a New Yorker – and since you’re in Queens, you can travel into The City any time you want, but you have the relaxed paced live of the boroughs that gives you the best of both worlds. But there’s one aspect of residing in the Big Apple that’s a challenge – finding the right dentist in Forest Hills. You want someone who’s professional, qualified and compassionate. Who should you see? Dr. Robert Miller DMD meets these criteria and is the trusted oral healthcare professional you need to care for your smile. Everyone needs to visit the dentist every six months for a dental cleaning and checkup. However, for some, this is not an easy experience. It is estimated, 9% to 15% of Americans do not visit the dentist regularly due to dental fears and phobias. As a result, they place their oral health at risk by delaying dental care. If you are fearful of the dentist, you can relax and sleep through your appointment with IV sedation in Forest Hills. At Total Dental Care, Dr. Miller offers sedation dentistry to help you overcome your dental fears. You’ve wanted whiter teeth for years – you’ve done what you could by using whitening toothpaste at home, but all the coffee you drink on your commute into The City and throughout the day makes your teeth noticeably yellow. You know that you can see Dr. Robert Miller, your dentist in Forest Hills, but you don’t know how to pay for your smile upgrade. 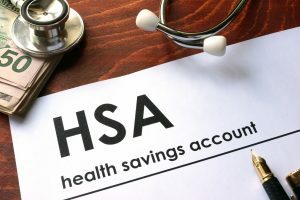 You signed up for a Health Savings Account at work, but aren’t really sure how you can use your benefits and how it works with your regular dental insurance. In this article, Dr. Miller explains the dental advantages to an HSA and the financing options his practice provides – it’s his goal to make sure every patient gets the oral care they need and the smile they want, without breaking the bank.